We do a lot of things in a woodshop that contributes to air pollution. Everything from wiping a little finish on a turned bowl to spraying 40 doors for a kitchen can cause problems. Add to those the airborne particles from sanding hardwoods, routing MDF or reducing panels on a table saw and we have a serious challenge on our hands. 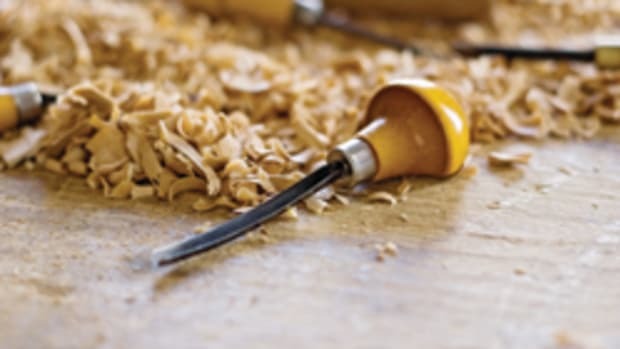 Every efficiency and health expert agrees that woodworkers should try to gather pollutants at their source, rather than attempting to scrub a massive volume of shop air. That’s just common sense. Controlling dust, spray and fumes is a big picture/small picture equation. Most shops have a fairly decent central dust collector in place and a spray booth that’s up to code. 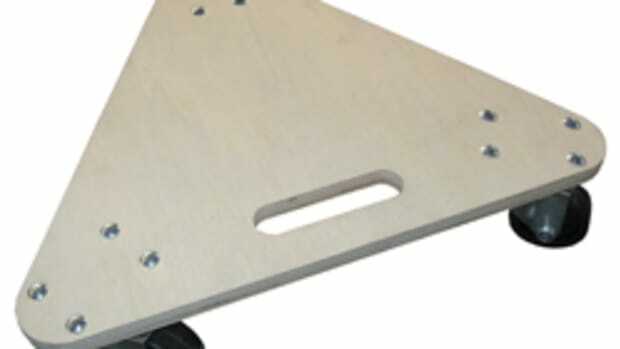 They also have good collection on the CNC and often that is where the major effort ends. In the smaller picture, there aren’t enough downdraft tables at individual workstations or fume cupboards for handling finishing supplies or even a regular schedule for air-quality analysis and dust inspection. In many shops, there isn’t enough make-up air in the HVAC system, so pollutants and dust keep recycling during heating and cooling seasons when the building is sealed tight. Fortunately, the amount of effort required to move from good to great in this area isn’t huge. Upgrading or replacing existing systems is always an option of course, but better training and practices — which require no greater investment than a little time — can also dramatically improve the quality of indoor air. Before making any changes to existing infrastructure or practices, it’s prudent to figure out whether there actually is a problem with the shop’s air quality and, if so, how much of a problem. Dust, spray and fumes can affect the quality of finishes on wood, but far more important is the threat they present for employee health. It’s not just carcinogens that are of concern, although some woodworkers develop nasal carcinoma after many years of exposure to fine dust. Respiratory irritation related to pollutants can contribute to a variety of issues from asthma to chronic obstructive pulmonary disease (COPD). Such illnesses not only cause physical hardship for sufferers, but they also affect one’s ability to perform well on the job. Air-quality testing is relatively inexpensive to do (test kits are available online for small shops) — or have done by professionals — and it can also reveal surprises for woodshops, such as the presence of radon gas or black mold spores. Testing can also isolate where dust or fumes are most prevalent in the shop and that can help pinpoint problems that need to be tackled immediately. Owners or managers of larger shops might want to visit the website of the American Society of Heating, Refrigerating and Air Conditioning Engineers (ashrae.org). The group is based in Atlanta and offers commercial building owners a free downloadable copy of its “Indoor Air Quality Guide.” It was developed in cooperation with the American Institute of Architects, the U.S. Green Building Council, the Builders and Owners Management Association International, the Sheet Metal and Air Conditioning Contractors of North America and the U.S. Environmental Protection Agency. Keep in mind when testing air for dust, spray and fume content that these insidious pollutants are migratory and, as such, are not confined to the shop floor. Include the warehouse, office and even retail space in the testing, especially when the same HVAC plant serves all these areas. Testing will be based in part on different categories of dust. Minneapolis-based Donaldson Torit (donaldson.com), a supplier of advanced collectors and filters, defines Class I wood dust as light/fine dust, typically from sanding machinery and hand sanding; Class II as medium-sized, typically from saws, routers, jointers, molders, shapers; and Class III as larger, more fibrous dust, typically from planers, edgebanders, lathes, band saws, mills and hogs. Once you have the results of air quality tests in hand, the next step is to create a plan to reduce or eliminate contaminants. 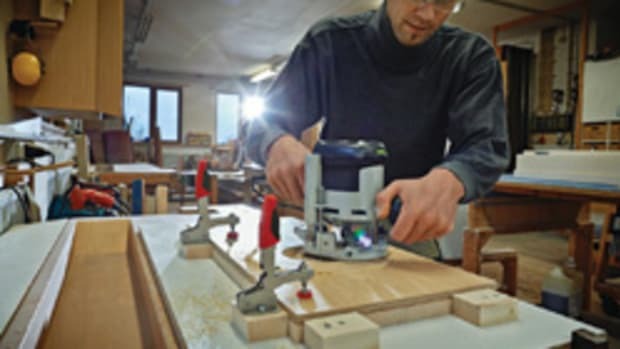 The first resource here is OSHA’s woodworking page (osha.gov/sltc/etools/woodworking). 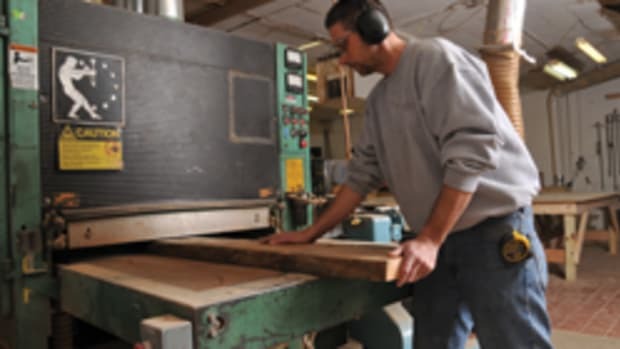 OSHA is part of the U.S. Department of Labor and the web page leads woodworkers through the agency’s standards, hazards and solutions. As with most bureaucracies, the materials are somewhat cumbersome, tedious and wordy, but the information is first rate. Of particular interest is OSHA 3157, the “Guide for Protecting Workers from Woodworking Hazards.” It’s a bit dated (originally published in 1999), but still quite relevant. Once you have the minimum government-required protections in place (or at least in your plan), the next step is to exceed them. The first place to look for improvement is in the volume and velocity of air being drawn through the central collector’s ductwork or through smaller collectors that are located at workstations. If more than one piece of equipment is hooked up to the ductwork, blast gates are essential. Not only do they improve the quality of the air by making collection far more efficient, they also reduce electricity costs and ambient noise — often quite dramatically. Virtually every major supplier of ductwork will help a woodshop owner design new or resize/relocate existing ducts to better serve the machines being used. To do so, the shop will need to supply a floor plan showing machines, the lengths and diameters of duct runs, existing bends and so on. The next step is to take a good, hard look at the bags or filters on collectors and it is a good idea to check with your spray booth manufacturer once a year to see if there have been any advances in those filters, too. For shops where minor touch-ups are done periodically without firing up the whole booth, companies such as Sentry Air Systems can provide small, portable fume extractors that remove contaminated air from a very small local area, scrub it and return it to shop. It’s not a perfect solution, but it’s a whole lot more effective than doing nothing. There have been a few opinions published of late that question the effectiveness of dust filters that are ceiling mounted (for example, see the blog on sawmillcreek.org). These units are not designed as a holistic solution to eliminating contaminants and are not marketed as such. The manufacturers are very clear that while the filters aid in scrubbing the air, they are not designed as a primary collector. The effectiveness of these filters also depends on how they are used: they need to be run during and after activities that generate dust (see the owner’s manual), and the filters also need to be changed very frequently. They will be less effective without due diligence. Going back to testing different areas of the shop, one of the most effective ways to control dust, spray and fumes is to partition those parts of the workshop that generate the most pollutants using curtain walls. There’s a pretty good essay about this on the Health Safety website (healthsafety.com/articles/controlling-dust-and-fumes). 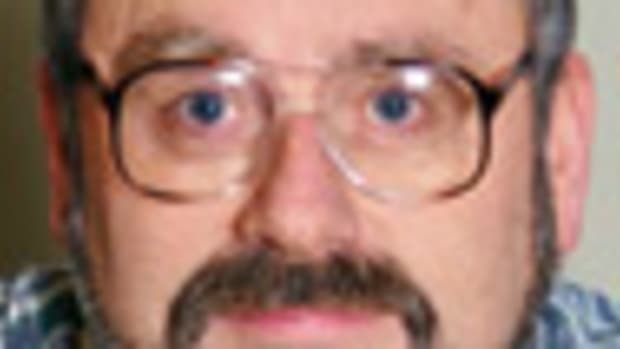 The author, Chuck Ashelin, has a degree in chemical engineering and works for Rite Hite, which manufactures ZoneWorks brand curtain walls. Ashelin’s point is that these temporary dividers allow a shop to use far fewer resources to control and contain fines and fumes in a small area than trying to address the problem shop-wide. And they can be rolled out of the way when not needed. A shop can confine sanding or finishing operations on the days that those activities are in process and use the space for assembly work on other days. He also talks about other hazards beyond health- or product-quality issues, such as the fact that a high enough concentration of airborne-dust-sized particulate in a closed space can become explosive or flammable. The same sentiments are expressed by Tony Goff of Goff’s Curtain Walls (www.goffscurtainwalls.com). If segregating a section of the shop isn’t an option, MaxFlo (maxfloair.com) sells a line of products called Containment Booth Dust Collectors that look like spray booths, but are designed for sanding operations.